The University Mentorship Program matches up small groups of first-year students with one upper-level peer mentor and one faculty/staff mentor. As a peer mentor or a faculty/staff mentor, you will have the opportunity to connect to first year students and serve as a role model. 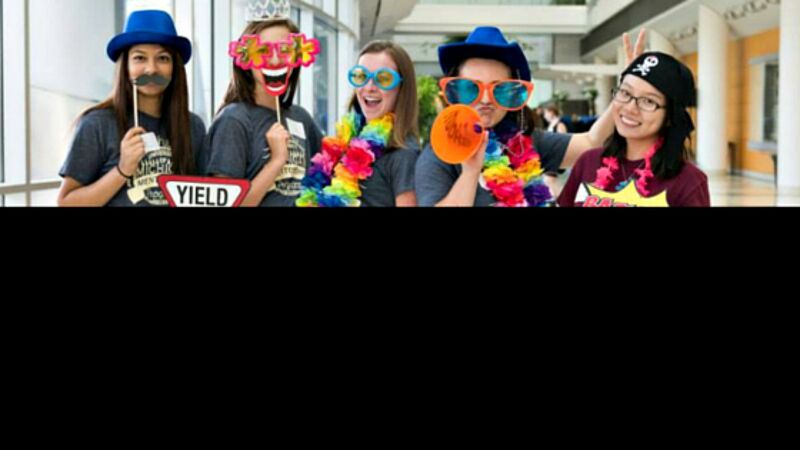 Peer Mentors are undergraduate students (sophomores, juniors, and seniors) who volunteer to offer advice, respond to questions, and provide information about campus and community resources to incoming freshmen (mentees). 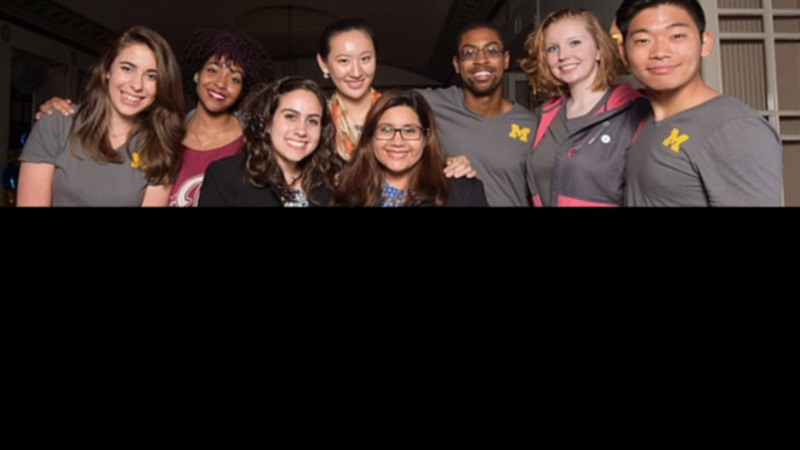 Peers represent all academic departments across the U-M. Peer mentors coordinate a small mentorship group of 6-8 incoming freshmen and are paired with one faculty or staff mentor. Mentorship groups are invited to attend an array of pre-planned events by our staff. Peer Mentors are matched with faculty and staff mentors based on information received in their applications. We also have many F/S Mentors and Peer Mentors who have met previously and choose to mentor together. Mentorship provides a great opportunity for students to get to know a faculty or staff person outside of a classroom or work setting. The Peer Mentor works collaboratively with their Faculty/Staff (F/S) Mentor to provide support and encouragement to assigned Mentees and is supported by an assigned Communication Coordinator. Our goal is to create memorable and enriching experiences for each Mentee, whether through group activities or one-on-one interactions. A typical Peer Mentor will spend 12-18 hours a month on Mentorship related activities. Applications for 2019 Peer Mentors are now closed. Applications for Fall 2020 peer mentor positions will be posted in December 2019. Only online applications will be accepted. 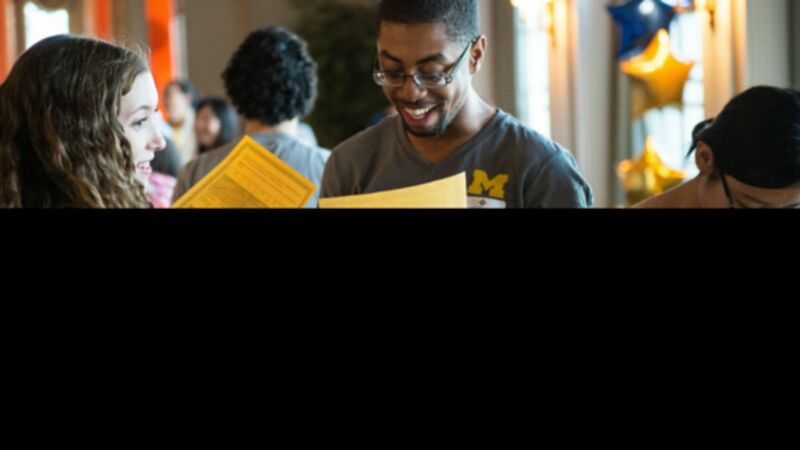 Peer Mentors are undergraduate students only (rising sophomores, juniors and seniors). Graduate students are ineligible to be Peer Mentors, but can apply to be faculty/staff mentors. We do not offer mentoring to graduate students. Serving as a Peer Mentor is a valuable form of service that directly impacts the University community. By volunteering your time, energy and knowledge about college life, you contribute enormously to the success of the entering class by helping them become acclimated and integrated into the University community! Non-judgmental support from someone who takes a special interest in them. Mentor of the Month/ Mentor of the Year nomination Mentees and Mentors are invited to complete monthly nominations to highlight the good work of mentors! Gifts are given to the recipients of the best nominations. Click here to see this year's award recipients. Mentors-only Events occur during fall semester to support mentors--we have a workshop just for mentors in late September! Want to learn more about becoming a Peer Mentor? Attend the 2019 Mass Meeting! You’ll learn more about our expectations for Mentors, how the program works, and our activities! Mass meetings are 1-hour long. Monday, December 2nd 2019 in the Student Activities Building (Suite 2011) from 6pm-7pm. Can’t make it to the mass meeting? Email UMMentor@umich.edu to ask for information. February | First round status letters emailed to applicants. Applicants who pass the first round will be invited for an in-person interview with our staff upon receiving acceptance. Those accepted for interviews will sign up for a specific time where 2 Communication Coordinators will interview each Peer Mentor. March | Final status emailed to interviewees. The training is essential for the success of mentors and allows you to meet the other mentors in your core and participate in workshops to prepare you for your experience as a mentor. Lunch provided. By mid-June, Mentors will be informed of the mentees in their groups. Once this is received, mentors should contact their mentees and, if possible, plan to meet prior to the Kickoff event in September.